French regulations enable a vessel registered under a foreign flag to fly RIF French flag during her bareboat charter. Consequently the foreign flag will be freezed during this period. RIF is the French commercial register. Vessels employed in deep sea trades or international cabotage can be registered under the RIF. Nevertheless passenger vessels and vessels operating only on national cabotage or providing services in area where port regulations applies can not be registered under the RIF register. RIF register offers various fiscal benefits as the registration under RIF is not submitted to any registration annual or other fees. 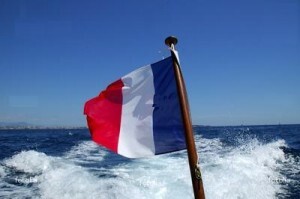 According to the french regulations (article 219 of the French Customs Code) and EU regulations, 50% of the bareboat charterer has to be a company registered in EU or in EEA country. Regarding the crew nationality, 25% of the crew of the ship registered under the RIF must be EU or EEA nationals. In addition, the master and his relief, who may be the chief engineer, must be citizens of the EU or of the EEA.